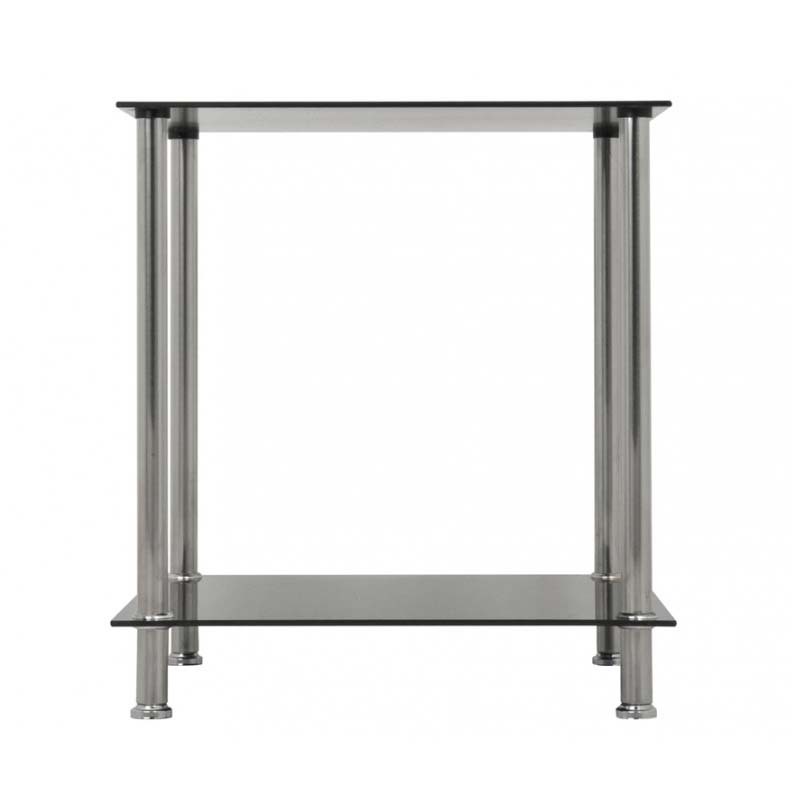 More on the AVF Black Glass 2 Tier Square Side Table (Chrome) T52-A below. 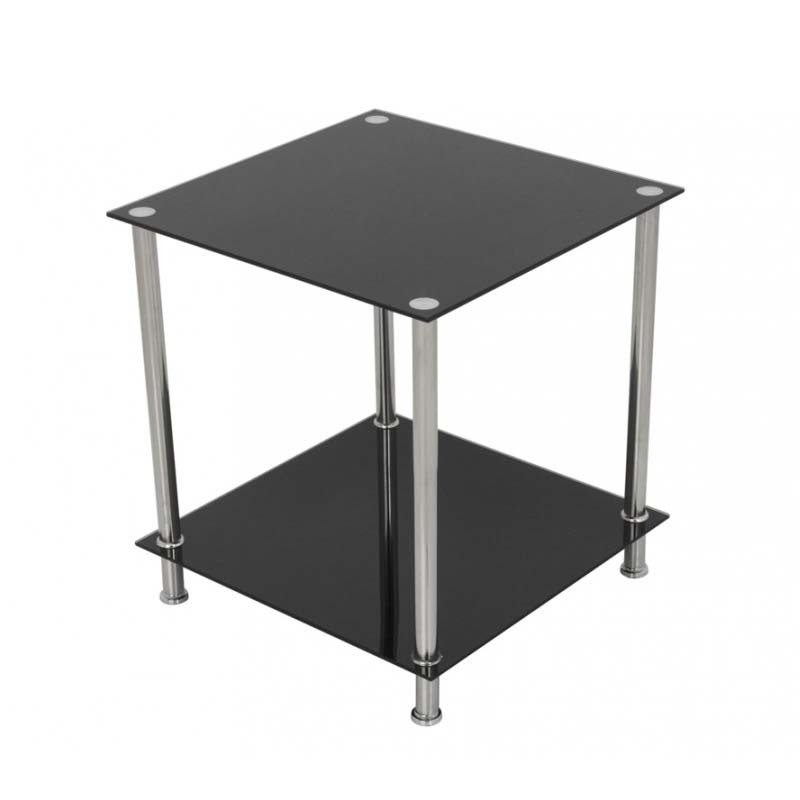 The T52-A is a sturdy square side table with 2 black glass shelves and a durable metal frame with chrome look finish. 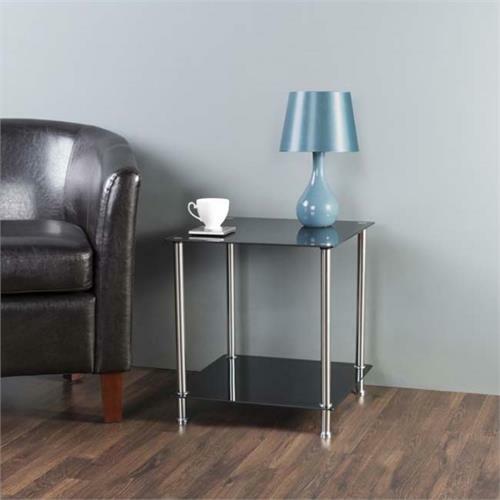 This versatile table can be used as a side table, end table, or lamp table. This modern piece is attractive and easy to assemble. Matching tables also available. See related products below for more information. Lower shelf can be used to store your magazines, remotes, games, DVDs and more.